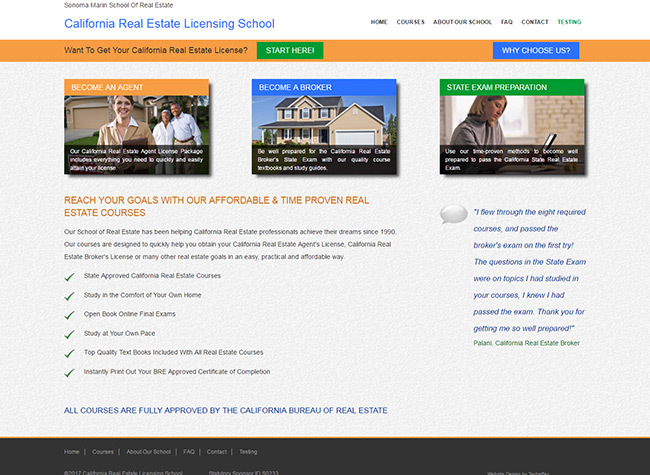 California Real Estate Licensing School sells real estate licensing training materials as well as providing an online test function as part of its courses. Certified by the California Department of Real Estate, the school must adhere to strict standards in regards to online testing. The school approached Techeffex initially to design and build the online testing system. The testing system had to adhere to a variety of government regulations while providing a user friendly test platform. We built the testing application with using PHP/MySQL and JQuery for some slick User Interface functions. 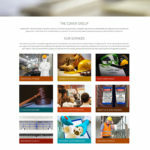 The school also asked Techeffex to redesign the site making it mobile friendly as the user base was increasingly using mobile devices to access the site. 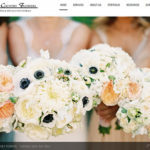 This site is full custom, built using PHP/MySQL providing exceptional performance.